At around 7000 feet, in the Big Elk Meadows area west of Lyons, CO.
Perhaps Speyeria atlantis, the Atlantis Fritillary. 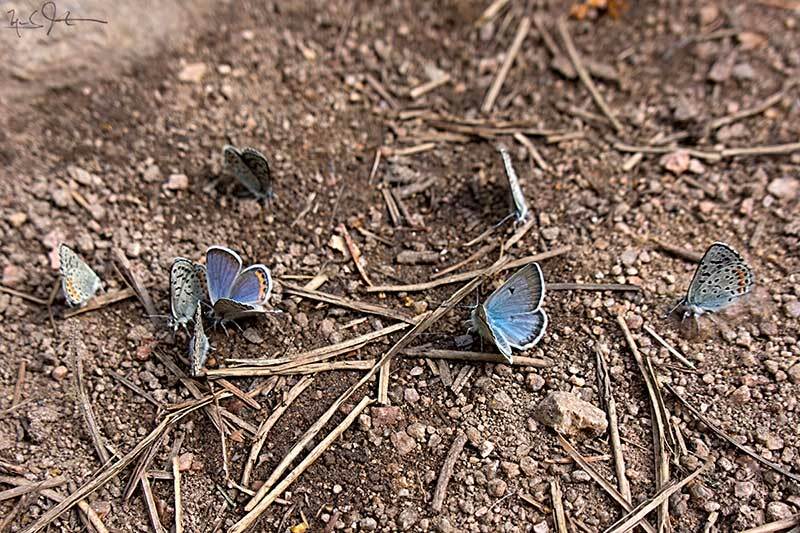 Small blue butterflies gather to feed on nutrient-rich water in a drying stream bed. Link. 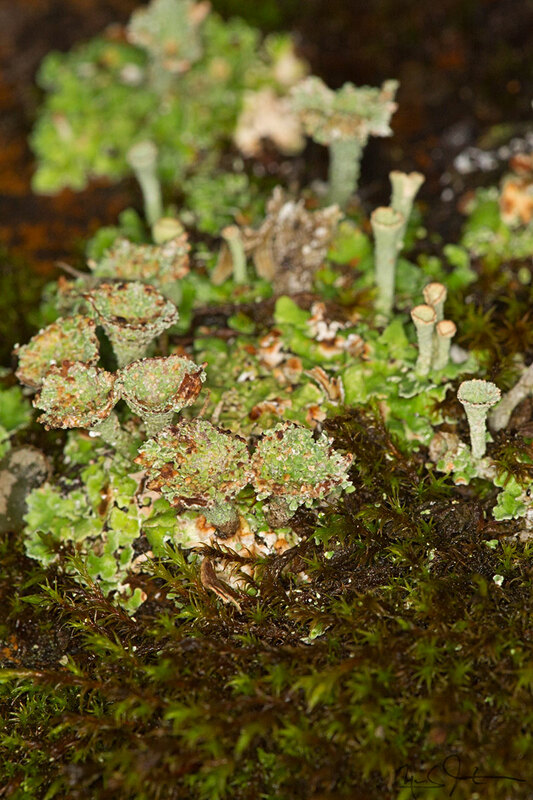 Published on July 08, 2012 by Mark Johnston.